HIT! 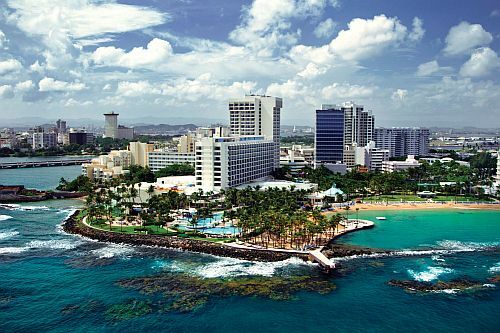 Super cheap direct flights to Puerto Rico: San Juan for only €253! Norwegian now offers super cheap flights to Puerto Rico from Sweden. Return tickets from Stockholm (Arlanda) to San Juan in Puerto Rico will cost you just €253! This price includes 10 kg cabin luggage, if you want 20 kg check-in luggage you have to pay €70 extra for return ticket. Stockholm is easily reachable within most airports in Europe thanks to Norwegian or even cheaper through Ryanair with flights to Stockholm Skavsta. Travel dates are in March and April 2017. These are also direct flights so you do not waste any time with stopovers. Book your tickets now to get this amazing price! Find cheap accommodation in San Juan with our hotel comparison tool. You can also check private accommodation for amazing prices through AirBnB. « Megabus 20 000 FREE bus tickets!